The design and engineering process is an important part of the Next Generation Science Standards, but it can be difficult for teachers to work in challenges that feel authentic and relevant in the real world. Several public school teachers in Seattle and Houston worked with Boeing engineers to develop engineering curriculum that both meets required standards and gives kids a chance to build something with their hands. The Teaching Channel documented some of the lessons in practice. 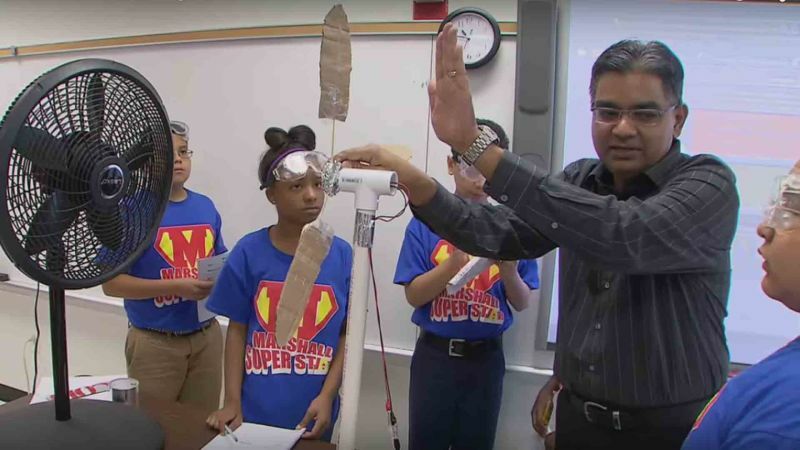 In the video below, students in Houston are exploring concepts of lift and drag while designing wind turbines. The curriculum is centered around the design process and encourages students to take both quantitative and qualitative notes about how their models fared in testing. They then think critically about why their models suffered in order to devise and build modifications before testing again. In addition to learning the concepts of lift and drag, students are discussing the role of alternative energy in power production, and working collaboratively in groups to design a wind turbine that produces the most power possible. Kids got excited about the challenge, but also experienced the opportunity to work with real engineers who affirm that the challenge is similar to ones they face in their everyday work. Other lessons include creating and testing a biopolymer, creating a cubestat satellite model that can carry a certain weight, and testing gliders that can support a mobile camera, among others.